BENGALURU: State transport undertakings, including KSRTC and BMTC are unperturbed by the Insurance Regulatory and Development Authority of India’s (IRDAI) decision to increase third-party insurance premium for all vehicles from April 1. The reason: A majority of KSRTC and BMTC buses aren’t insured. According to KSRTC officials, only 425 premium AC buses of its 8,000 odd buses have insurance. None of the BMTC buses are insured. Under Sections 146 and 149 of the Motor Vehicles Act 1988, a motor insurance cover is mandatory for vehicles plying on the roads. When contacted, a senior KSRTC official claimed that there is a state government rule that exempts State Transport Undertakings (or STUs) from compulsory insurance. “Our premium AC buses have comprehensive insurance. We have insured luxury buses since they are expensive. However, such buses are rarely involved in accidents compared to ordinary ones. But we have an accident relief fund that provides compensation to all victims,” he said. Sources say most insurance companies are reluctant to provide insurance cover to STUs including KSRTC and BMTC because of the high rate of accidents. The insurance companies say claims might exceed the annual premium collected from STUs. Also, public transport is often the first to be attacked every time there is violence. 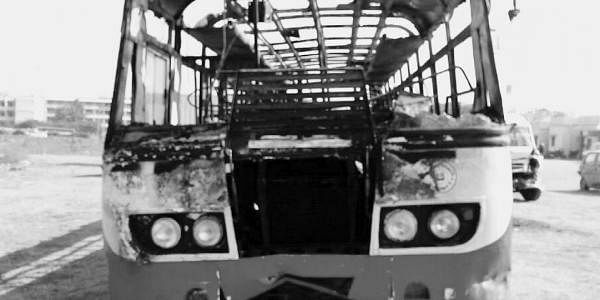 BMTC officials admitted that none of the 6,207 buses have an insurance cover. “It’s cheaper to pay compensation to the victims than paying large sums as premium to insurance companies for accident coverage,” a BMTC official said.